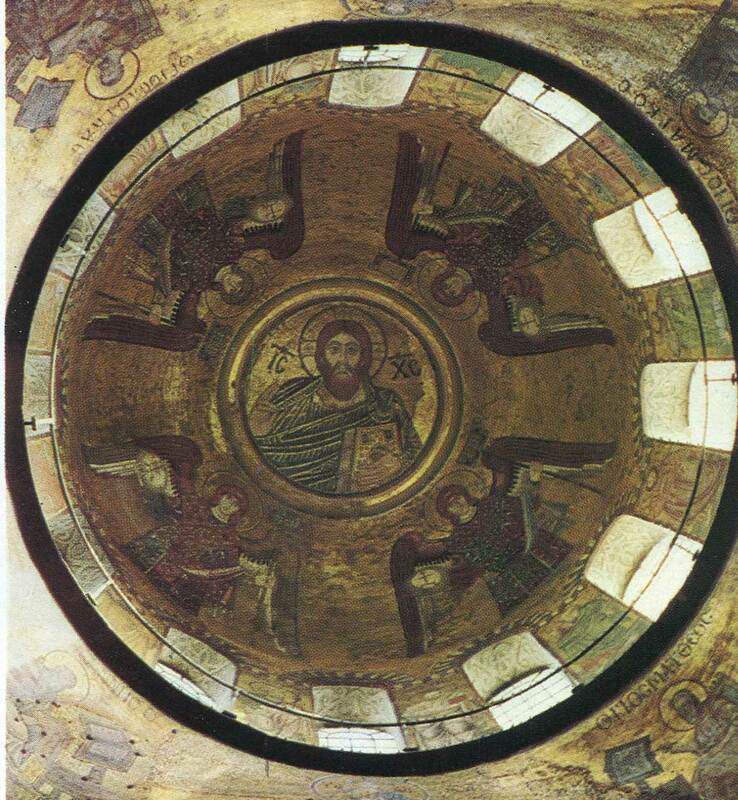 Culture | The central composition of the main dome – polufigury mosaic of Christ Pantocrator in the medallion. The medallion is encircled by ten colored circles that resemble a rainbow. Around the Christ – the four archangels, of which only one figure in blue – Mosaic, the rest having added oil in 1884 MAVrubel. “The Eucharist.” Fragment of mosaic of St. Michael’s Cathedral. XII century. St. Michael’s Cathedral was the last of an ancient building in Kiev, where applied mosaic murals. In 1934-1935 in connection with the reconstruction of the cathedral was demolished, all the surviving paintings removed from the walls and moved to a new cement base. To organize them into Sophia was allocated one of the buildings of the XVIII century. In the hall a wooden apse corresponding apse of the Cathedral of St. Michael, and its concave surface at the same height, put the scene, “the Eucharist.”A fragment of group portrait of the family of Yaroslav the Wise. The composition is particularly valuable frescoes of St. Sophia Cathedral. It was severely damaged during the restoration of the XIX century. On the south wall murals over the butter pieces were written great martyrs, on the north wall – figures of saints. Clearing these frescoes carried out after the organization of the Sofia Reserve in 1934 – 1935 years.